It’s no secret that I love a party. I love them so much! The lists, the menus, the guest list, the beverages, the decor. Between you and me, I almost love the planning as much as the actual party. We are heading into the busiest party season of the year. The lovely people at InStyle Magazine sent me a copy of their newest book, InStyle Parties and it’s a stunner. Packed full of great tips and ways to make your life easier when throwing your soiree. They even have a recipe for Black & White Cookies – my favorite of all the cookies. I love all the ways this book helps you plan. Each party helps you plan with a Countdown so you won’t feel rushed on party day, Shortcuts so you don’t have to create every detail, The Pour with terrific cocktails and of course, wonderful menus with recipes and the most gorgeous and swoon worthy photographs. InStyle Parties would make a perfect gift for a friend, or a treat just for you (you deserve it!). This tome is going on my coffee table so I can refer to it frequently as I plan my next get together. The sun is finally shining in Atlanta. Madea and me are loving this weather. In honor of the sun shining, I am posting gold things today. 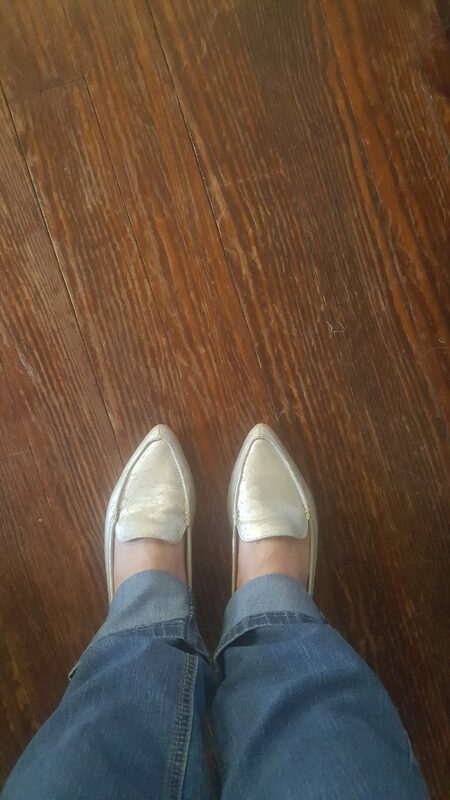 I bought these gold beauties on a recent shopping trip in Tampa with bestie Holly (we saw U2, too, but that’s another story). And Eric and I finally got around to bottling up the limoncello that has been brewing for months in the pantry (note to self: don’t let it sit so long next time). The homemade stuff is on the left. Here’s a fun recipe for a yummy cocktail to make with your limoncello. Limoncello Gin Cocktail with Grilled Thyme. What’s making you feel golden this summer? This coming weekend we will gather to celebrate our dear Valerie’s birthday with a tiki bash. I think this is the perfect drink, shared by my friends at everyone’s party invitation go-to, Evite. I would add more rum than this calls for, but that might just be me. In fact, I would use coconut rum because that’s how I roll. What are you drinking this summer? With spring in the air, I am dying to start planning some outdoor parties. Our new (100+ year old) house has a gigantic front porch that faces a very busy and loud road, but I’m still determined to throw a porch party (or three) this spring to bring together friends old and new for adult beverages and fun conversation. What do I do for inspiration? Why, I do the same as you – I read dinner party blogs! I love this one, Cup of Jo, who gathered tips from tons of party givers. I even learned a new tip or two. Warmer weather makes us want to get out and enjoy the outdoors. Or a drive to somewhere indoors. 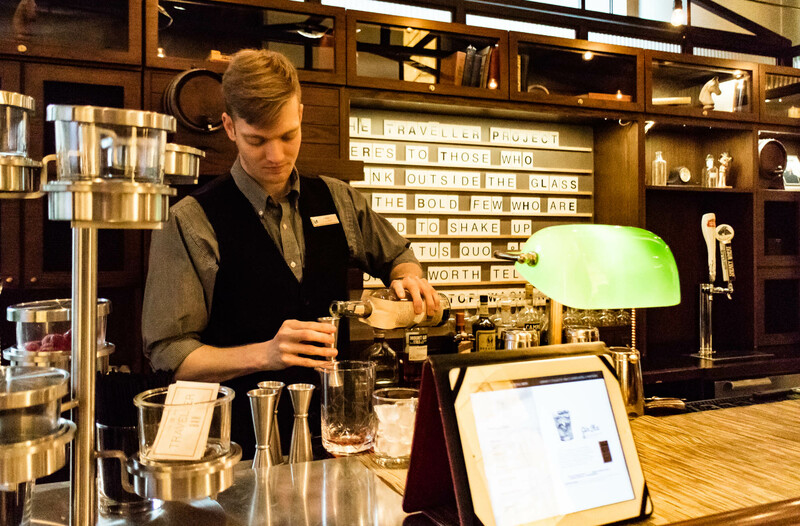 Recently, Eric and I enjoyed a night out at Saltwood, the hotel restaurant at the Loews Atlanta. I am swoony for a hotel bar and restaurant and Saltwood did not disappoint. Incredibly charcuterie, and gorgeous craft cocktails at their new Traveller Bar, which may be gone by now. It’s a pop up! Take a look. 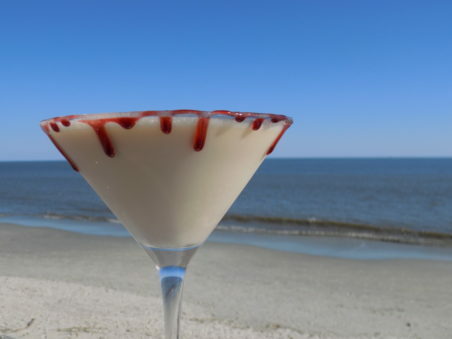 I will admit, instead of having dessert in the restaurant, we retired to the bar for another cocktail. So good. Special thanks to our sweet friend, Rachel Peavy, who is the PR Maven for the Loews Atlanta. It was so much fun running into her and catching up. Go forth, and entertain your friends. Mix up some fresh lemonade and add a bit of grenadine to make it pink and then some vodka to make it boozy. It is such a lovely springtime cocktail! Here’s a great version! I am asked so often what is the best thing to bring to a dinner party. So many lovely answers. No one ever seems to ask what not to do. But I am happy to clue you in. Shall we begin? Never show up early. Ever. Your hostess is putting the finishing touches on everything (including her face). Don’t be early. We expect to give you a 15 minute window to arrive after the announced time. Five or ten minutes late is perfect. We will greet you at the door with a smile and cocktail and welcome you warmly. Showing up early is akin to setting the cat on fire or knocking over an entire bottle of red on a crisply ironed white linen tablecloth (but even that is more tolerable than showing up early). Don’t set the cat on fire, please. And it bears repeating – don’t be early. Do show up with a small something for your hosts. Wine is always welcome. Bourbon is even better. A couple of fluffy cinnamon rolls for your hostess to enjoy the next morning is so sweet. We love homemade treats. And if you are bringing a beer, something unusual or local is sure to please. What not to bring? Please, for the love of all that is southern, please do not show up with flowers that are not in a vase. The last thing your hostess wants to think about is running around looking for something to put those flowers in. Also, do not bring a dish that you have not been asked to bring. This is a no-no for a couple of reasons: A. this dinner has been scrupulously planned, right down to the olives & nuts served with cocktails, and B. all of her serving dishes have been coordinated with the table. If you show up with pimento cheese sandwiches on a flowered tray, she (I) might fly into a silent rage. While smiling. We southern hostesses always smile. Introduce yourselves to the other guests as they arrive. Especially if your hostess has to duck into the kitchen for just a moment. Ask how they know the hosts. That always gives you something to talk about. She has put you all together for a reason and thinks you will be fine friends by the end of the night. If you are shy, think of it this way – you are going to meet your new best friends and it’s way more comfortable. Have an interesting or funny story to tell. Keep it short. Keep it clean. Read the crowd. Is everyone drinking and then drinking some more? Well, then. Go ahead and have that third gin and tonic. Is it a school night and the group is having a cocktail before dinner and either a glass of wine or beer with dinner? Follow suit. That’s a good start. Let me know your favorite ideas. Oh! And here’s a look at our homemade limoncello. Next time we make a double batch. This disappeared in no time. Serve it in a gorgeous cut glass decanter. Or bring some to your hostess. Before serving, put in the freezer so it is ice cold when your guests enjoy it. YUMMY! Lemon & vodka, ready to mix with the simple syrup. It’s February. Which means winter. It also means it’s my birthday month! I needed a pick me up to hold me over until my Florida vacay in 10 days (please let it be warm and sunny!) and I had a surplus of lemons I was going to use for that detox drink that gets Beyonce to her fighting weight. But I never got to making those detox drinks and the lemons were waning. 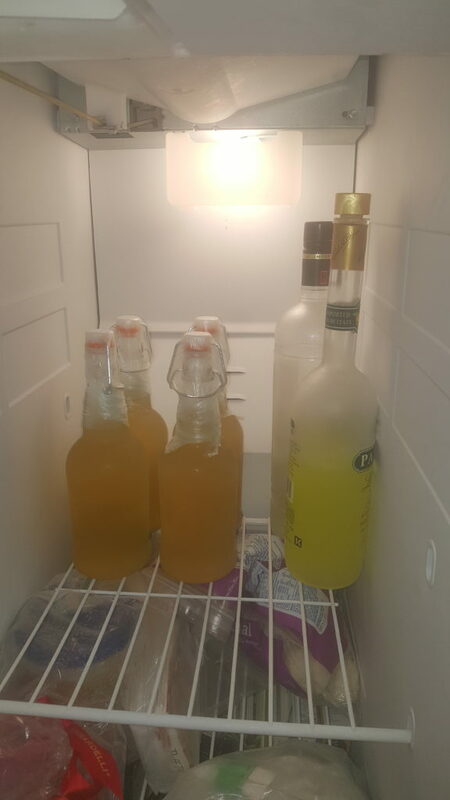 You know I’m always up for a party, so I decided to use those sunny little orbs to make my first ever batch of limoncello! First, we have to find a terrific recipe. 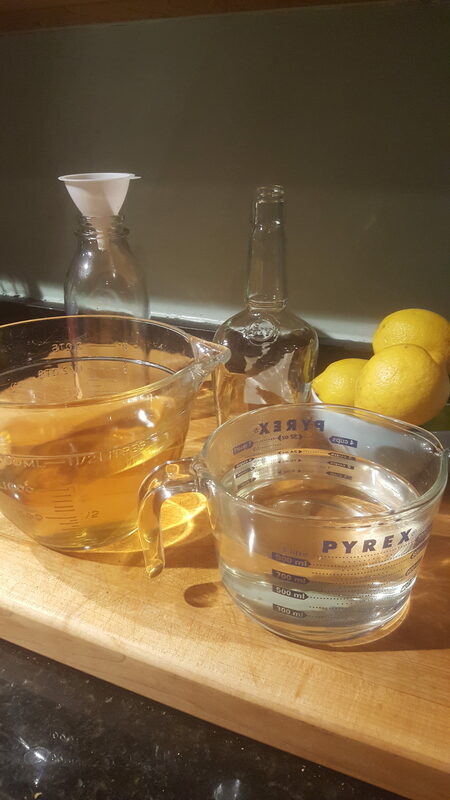 I found this precious blog called Garden Betty and decided to follow her recipe for my first foray into making adult bevs. Go follow her and get her recipe and then we can make limoncello together! Aren’t lemons the happiest of fruits? So sunny and they smell soooo good. 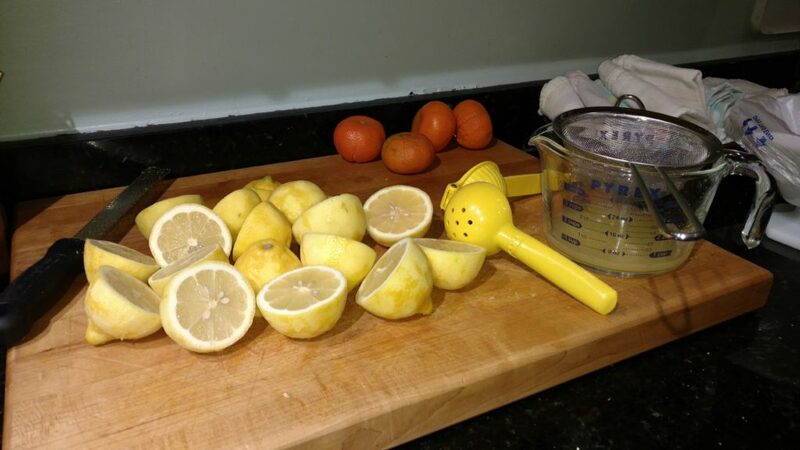 You have to zest them all and then you can’t just leave the juice – those lemons need to be juiced, too! 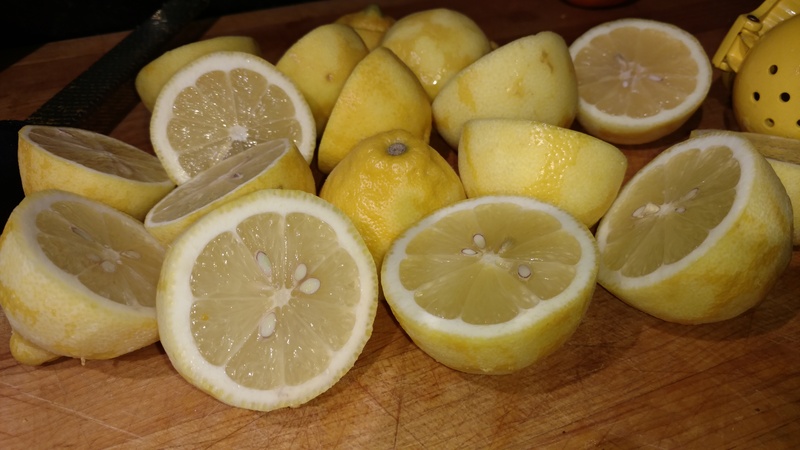 I ended up with about 3 cups of juice from 15 lemons. I can’t lie, Eric juiced most of the lemons. He’s the best. Thanks, Eric for juicing all those lemons! You put all the zest into a glass gallon jar and add a liter of vodka. For some reason, friends have been gifting us with vodka, so we have a boodle at the house. It looks like this. I bet that is so tart! At second glance, that may be bigger than one gallon. Anyhoo. The jar goes into the dark pantry for 6 weeks. 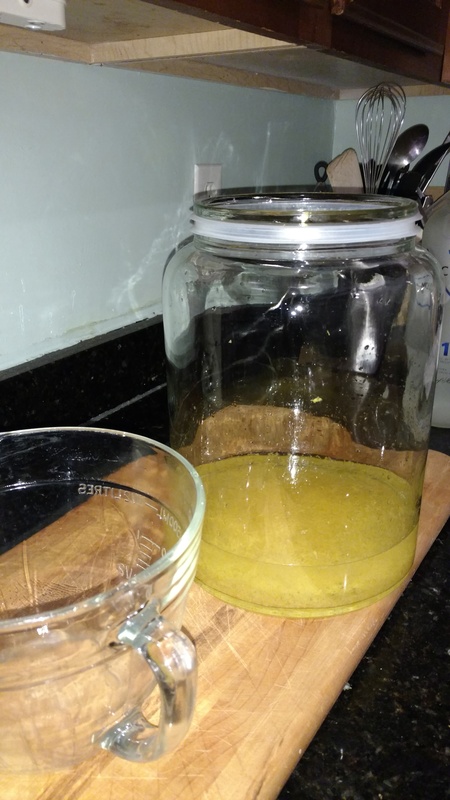 Have you ever made limoncello? Tell me all your stories! Eric and I recently visited Escape The Room, right downtown on our beloved Peachtree Street. It was an hour of finding clues to unlock the locks that held us captive. We had one hour. Good thing that door opens automatically after 60 minutes. We did not solve all the clues. Sleuthing is thirsty work. We hopped across the street to Alma Cocina, for the Lay of the Land margarita and some chips & salsa. The bartenders are new. Kit is the only one who knew how to make it! Luckily for us, Kit had returned to Alma as Beverage Manager and was in the house to whip up said Lay of the Land margaritas. They are spicy and sweet all at the same time. Lay of the Land and chips & salsa consumed. Now what? We spied a gentleman at the bar enjoying a giant ice cube and a shot of tequila. Kit, what’s that? It’s THE CUBE! Ice cubes made with fresh ingredients and paired with a shot of different tequilas to enhance the experience. We needed THE CUBE. I tried the cube made with pineapples and Eric chose the cube made with coffee and maple syrup. 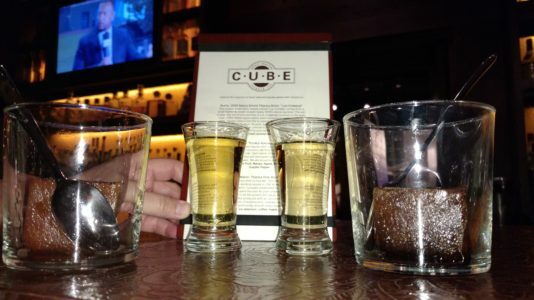 Our cubes and tequila shots. They come with tiny little spoons to break up the cube after you pour the tequila in. Or you can shoot the tequila and wait for the cube to melt, but that seems silly. Go see Kit at Alma. Get THE CUBE. Impress your friends. Be cool.